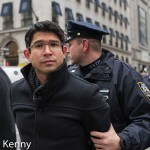 Council Member Carlos Menchaca under arrest on 5th Avenue. 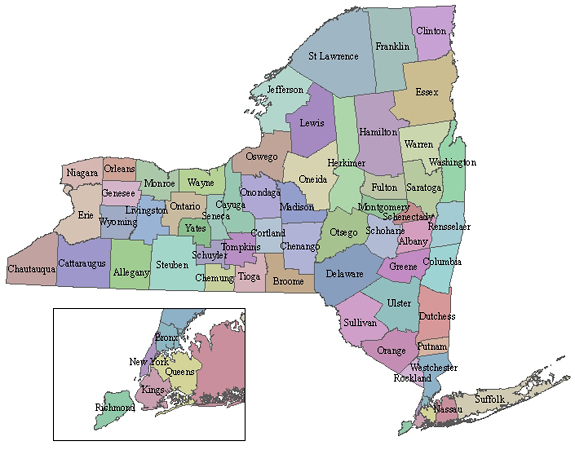 It was an arresting start to the Trump presidency for three New York City elected officials. 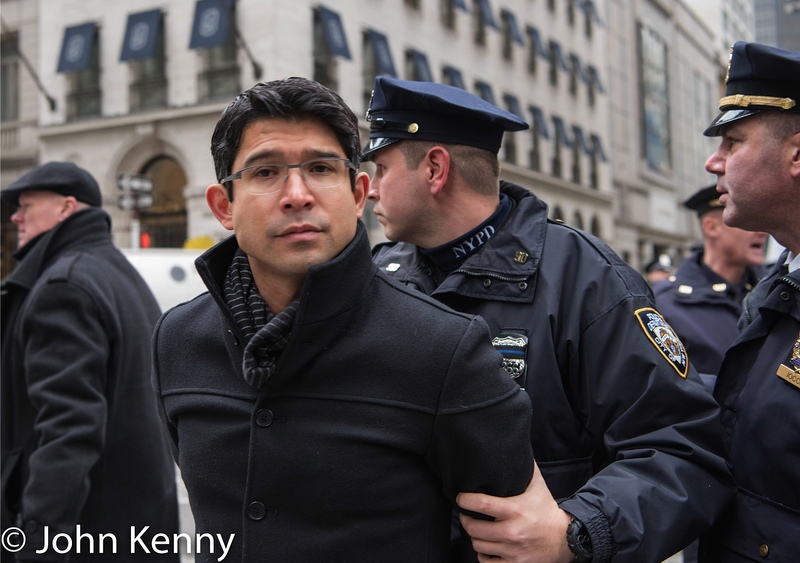 Council Members Jumaane Williams and Carlos Menchaca and NYS Senator Marisol Alcantara sat down in the middle of Fifth Avenue just as Donald Trump took office, staging a protest that promptly produced arrests by the NYPD. 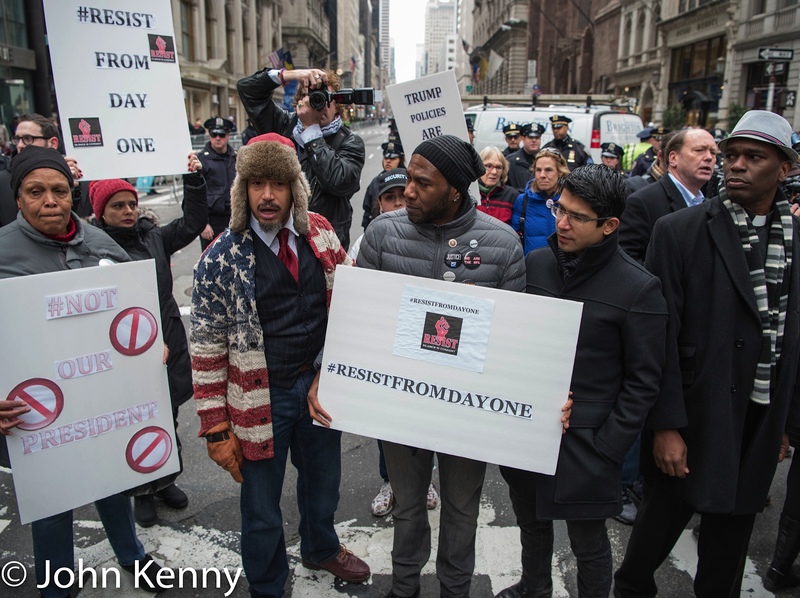 They were joined by several others, including Kirsten John Foy, Gillman Rose, Margalit Ewart and Council Member Williams’ mother.